Thousands of youth players got the official Sounders FC tournament experience this year. Participants had the opportunity to watch a Sounders training session, meet players from the squad, and even received media attention from Tony Ventrella. Thanks to everyone who came out. We hope to see you all in 2012! Get a complete list of game results or let us know how we did by filling out our 2011 tournament survey. 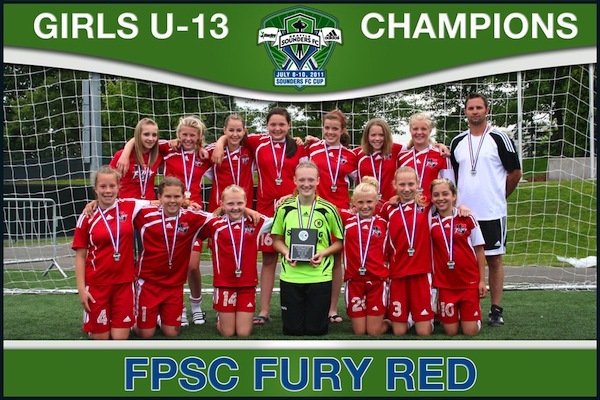 Website is currently showing the wrong Team Picture of the BU14 Champion Team. Winners are Blackhills FC, instead your website is showing the pictures of TSS Academy as both the Winnners and Runner’s up.Can you please correct this thanks. Thanks for the catch! The photo has been updated. the site is currently showing the wrong champion for the u16 boys, it currently says FWFC GREEN. but its Lakewood Fc. I think you may be looking at the wrong tournament results as Lakewood FC was not participating in the Sounders FC Cup. Team photos for the XTREME Cup will be posted soon. Thank you!